In the fast paced landscape of sales and startups, the benefits of having real conversations and surrounding yourself with like-minded individuals really can’t be overstated. 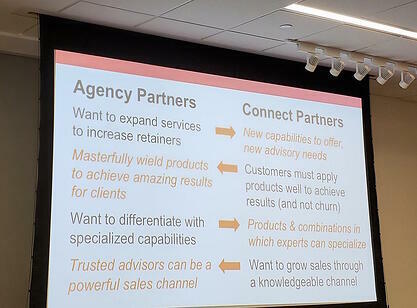 2 weeks ago, I had the opportunity to head to the first HubSpot Connect Partner Day with our CTO Daniel Olarte. 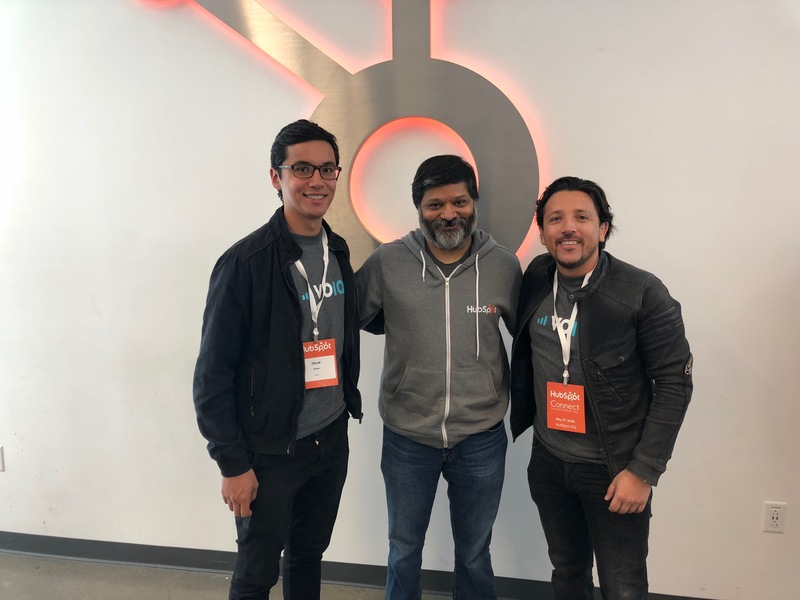 We met HubSpot’s co-founder, Dharmesh Shah, who waxed poetically about growing better when working closely with Connect Partners and HubSpot’s Agency channel. Here are my top 5 takeaways from the Connect Partner Day event. This was by far my biggest takeaway from the day, which happened during a 30-minute chat with Dharmesh during a break in the program. It is no secret today that HubSpot’s Marketing Agency Partner Program accounts for 40% of their $2B annual revenue. It’s an incredibly strong partner program that many try to replicate today, but its brilliance was not so obvious from the start. Dharmesh shared that in the early days of HubSpot, marketing agencies as HubSpot customers had a 4X churn rate vs. the typical SMB. 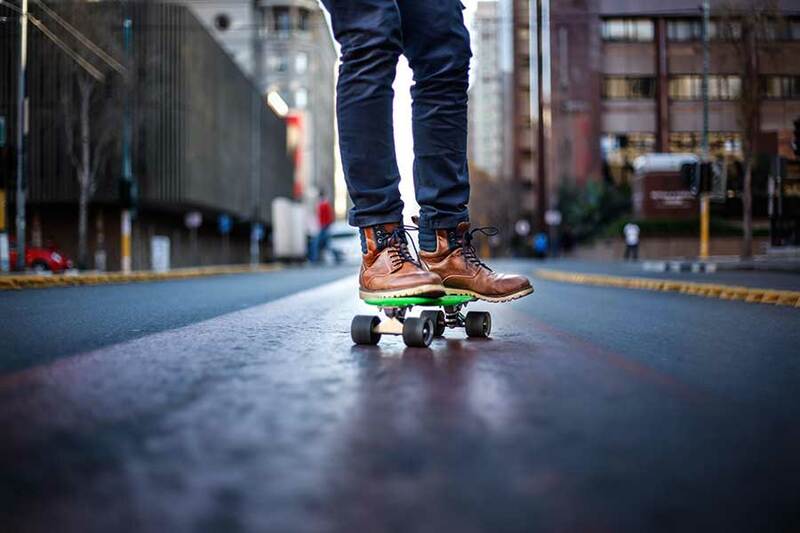 The hypothesis behind their high churn was that they were too sophisticated for the product, leading HubSpot’s sales team to write them off as ideal customers and qualify them out of the process. However, Pete Caputa - now CEO of Databox and then member of the sales team - asked for the chance to get to the root of the churn and find a way to fix it, as these agencies provided their services to the ideal customer profile of HubSpot. It turns out that the marketing agencies just needed more love and attention. Pete went on to lead the Partner Program, which focused on providing partners with the software, support and training needed to help them to grow as agencies and run their customer’s needs through HubSpot. The agencies became HubSpot’s star customers, accounting for $1B in revenue. HubSpot loves video. Video marketing helps deliver messages more effectively in a shorter amount of time, while also striking an emotional chord with visual elements. According to HubSpot, 80% of customers remember a video they’ve watched in the last month. When customers remember your video marketing content, they also remember your brand, which translates to more sales and leads for you. Start getting good with, and on, video today. One of the big takeaways for my team was HubSpot’s CRM Object Properties API release. For any HubSpot CRM object, like a lead or contact, you can now create a custom property to store whatever information you may need. This will allow any sales manager that leverages our VOIQ integration for HubSpot to access any lead’s custom sales call data captured by our software. New contacts can now be created in HubSpot with a simple HTTP POST to the Contacts API. This means that every new lead or decision maker captured by our VOIQ sales agents during a sales call will be automatically created inside HubSpot and will be assigned a unique ID, so your in-house team can follow-up immediately. Each lead’s custom events will be seamlessly synced with our VOIQ software to automatically customize your call script based off the lead’s behavior or site interactions. Our VOIQ sales call agents will have all the information they need at their fingertips to better qualify your leads and have a more personalized conversation. 4) Go from Funnel, to Flywheel! When combined with the Marketing and Sales Hub, the Service Hub gives marketing, customer success, and sales teams access to a complete record of a customer’s journey, allowing them to focus more on retaining customers, rather than just acquiring new customers - which ends up being more expensive than retention. If you want to see what HubSpot has next in store, head to #INBOUND18. It will be packed with new marketing and sales strategies and tactics to take your company to the next level. 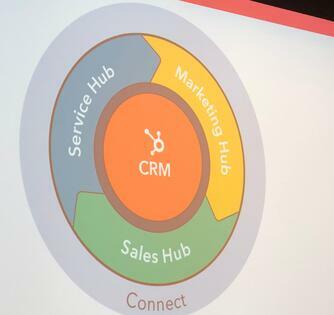 For the full list of resources and info that came out of this event, check out the HubSpot Connect Partner Day 2018 resources page!